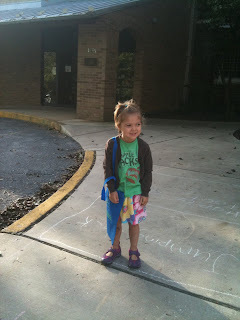 Today was the Bee's first day at her new pre-school! 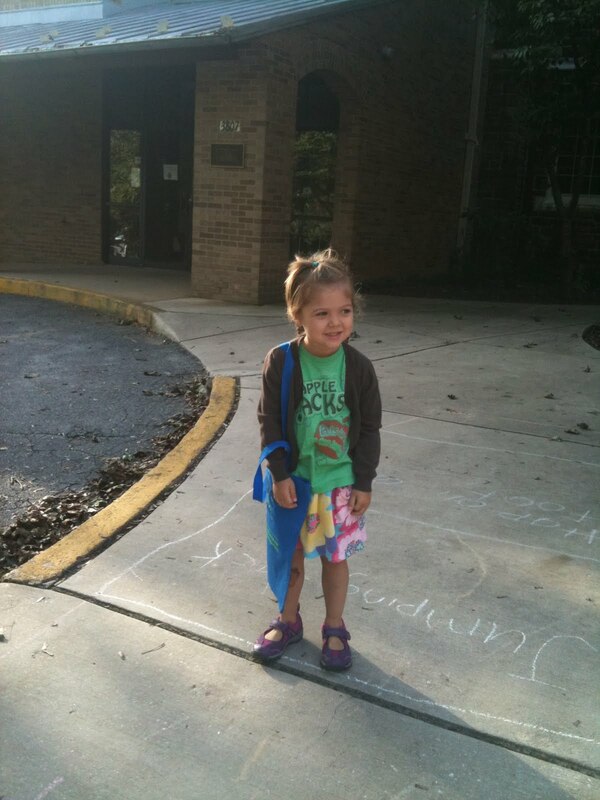 She went last week to meet her teachers and when we got in the car I asked her what she thought, she replied " I think i want to wear my apple jacks shirt and my flower skirt on my first day of school." So this morning in her apple jacks shirt and flower skirt she excitedly went to her new school, met her new friends and had a great time!